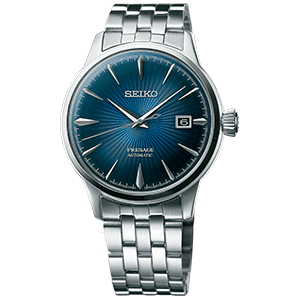 The new Presage collection draws its inspiration from Seiko’s heritage in mechanical watchmaking, which stretches all the way back to 1913 and the celebrated Laurel which was Seiko’s, and Japan’s, first ever wrist watch. This heritage is brought to life today in two very special Limited Edition automatic chronographs whose design echoes that of the 1913 Laurel and whose dials are made in the finest traditions of Japanese artistry, one in enamel and the other with lacquer. 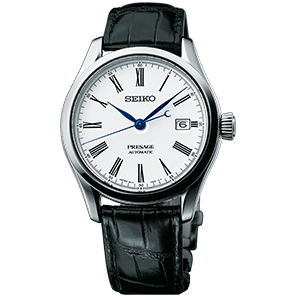 Both use the 8R48 caliber, which has vertical clutch and column wheel systems, and incorporates Seiko’s unique three-pointed hammer to ensure the perfect synchronization of the hands’ fly-back. 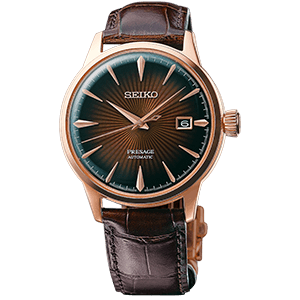 Both are offered in editions of 1,000 in celebration of Seiko’s 60 years of automatic watch making and will be available in September. 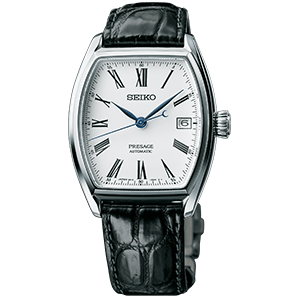 Presage is a collection of broad appeal. 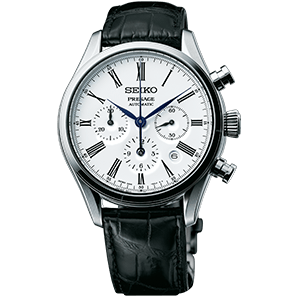 It comprises 60 models and uses the full range of Seiko’s mechanical calibers, from the accessible 4R, through 6R to the exclusive 8R. 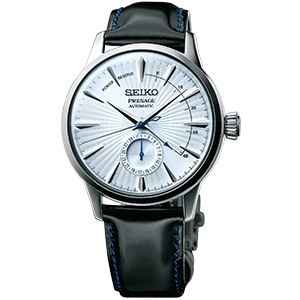 Highlights include the 6R27 multi-hand power reserve model and a series using an entirely new version of the 4R57 caliber. 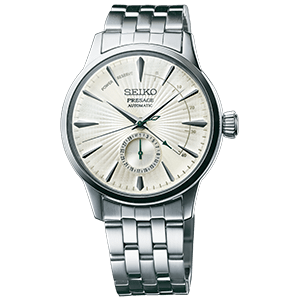 This new caliber is Seiko’s first ever with a center power reserve indicator, and is available in a series of five designs, including a limited edition. 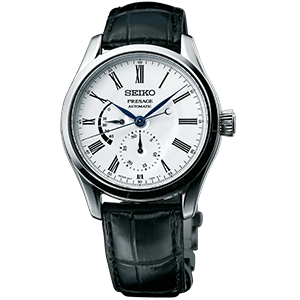 Every Presage watch has 10 bar water resistance and a sapphire crystal. 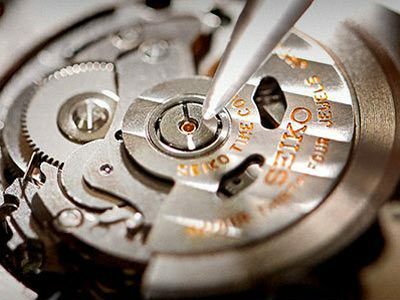 The tradition of Seiko’s craftsmanship continues to thrive, thanks to the skill and passion of the craftsmen and women in whose hands Seiko’s mechanical watches are assembled. 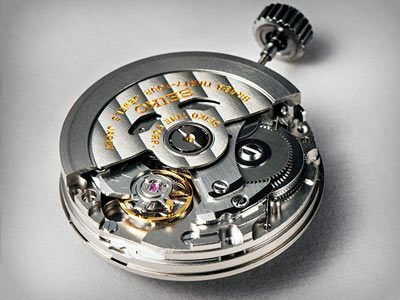 Notwithstanding the high accuracy of the parts, the exquisite technique of assembly technicians with long experience is required. 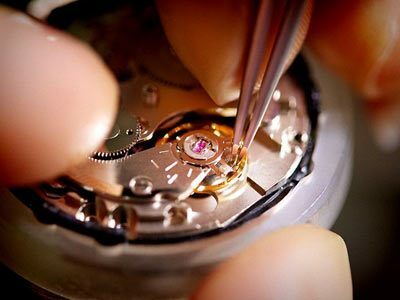 Inspection by eye also plays a key role and only after a vigorous quality appraisal is the watchmaker’s task complete.